This unique collection of 22 cards features suggested nature activities and corresponding open-ended questions for instructors working with children ages 3 to 7. The cards are designed to encourage adults to help children to explore the natural world. Use anywhere — on hikes, in schoolground or camp settings, to enrich after-school programs or by parents exploring backyards and parks. 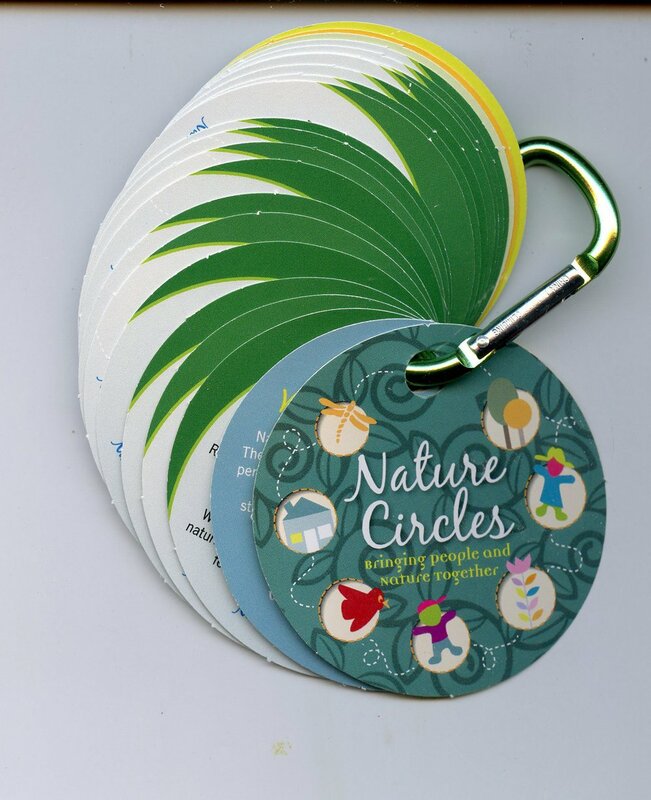 Nature Circles® cards measure three inches in diameter and are held together by a clip that allows for reorganization if desired and easy attachment to a clipboard, belt loop, or backpack. Cards are printed locally on recycled paper.